Our policy for domestic accommodation is limited to customers with pets only. But for international customers, we can accommodate guests with or without pets. Our dog, Purin, and cat, Poe, are beloved mascots who will welcome your visit! Treat yourself to a soothing forest bath! 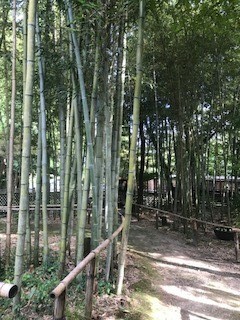 We have bamboo forest walking path and a 990 square meter size dog run. Explore enchanting sights within walking distance such as a prime viewpoint for cherry blossoms and a temple famous for its bonsai trees. Also very nearby our facility is the majestic Lake Biwa, Japan’s largest lake. 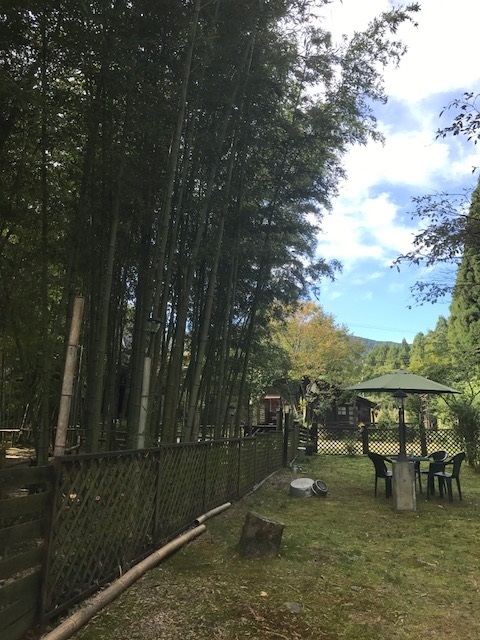 Enjoy relaxing in a tranquil “satoyama” location! We strive to treat our guests with the best hospitality. We and our loveable four-legged friends are awaiting your visit! ※For reservation and inquiries by email. – From Kansai Int’l Airport: Take Haruka to JR Kyoto Station . Change to JR Kosei Line and get off at Omi-Imazu Station. Total travel time is 2.5 hours. – From Osaka Int’l Airport: Take airport bus to JR Kyoto Station, a 1-hour ride. From the station, take JR Kosei Line for about 1 hour. Get off at Omi-Imazu Station. – From Omi-Imazu Station: On foot, it’s a 1-hour walk from the station. / Take a public local bus bound for Sogo Undo-Koen 総合運動公園線 (either south or north route) and get off at Shobo Honbu Mae stop 消防本部前. Walk for 5 minutes. ※We also offer a pick-up service from Omi-Imazu Station.